We provide solutions for the decoration, protection and restoration of all metal. 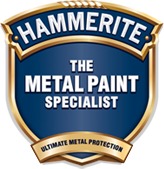 Hammerite was the first and is still the only dedicated specialist metalcare brand. Metal is what we do. We don’t do anything else. We do it better than anyone else. Given the right treatment, metal can last for generations. Whether it is iron, steel or galvanised/zinc metals, people love the timeless quality that metal brings. We understand the important roles that metal plays in your lives, but we also understand that all types of metal are vulnerable – to water, sunlight, frost, rust and physical damage. All metals need constant protection to keep them structurally strong and looking their best. Metal needs regular treatment with specialist products to protect and care for it. You know that neglecting your metal is only storing up trouble and cost for the future. Therefore you want to do the job well so that your metal will remain looking good for longer. And you’ll take satisfaction in doing the job right. 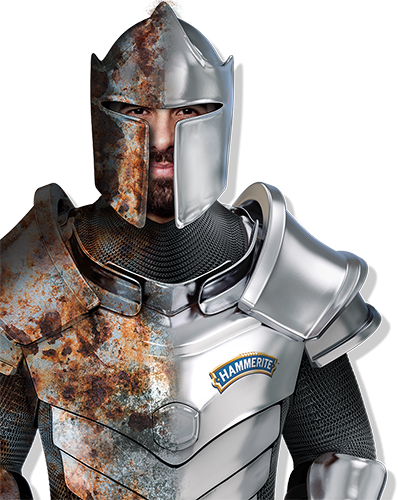 You can trust Hammerite to provide the easiest-to-use, longest lasting protection for your metal, with no nagging doubts or concerns. Your choice for Hammerite will keep your metal looking good for longer. We help you tackle every metalcare job without worry. Hammerite has a rich history. The name first appeared in 1962, when Allen Forster developed a hammered paint for use in electrical insulation. But Hammerite first appeared in the format we know today in 1984. It was launched to the UK DIY market as a single-pack, air-drying, corrosion-resistant coating for iron and steel. At this moment the metal specialist category was created. Hammerite soon developed a name for quality products and a mystique developed around the formulation, with consumers speculating about what gives Hammerite its special properties. Today Hammerite is sold in over 55 countries worldwide and is the European brand leader in metalcare. It has the number one brand position and 100% distribution in many markets. In over 25 years we have never lost our focus on metal. Our knowledge and understanding of metal remains unrivalled and the brand continues to be supported by world-class research and innovation.